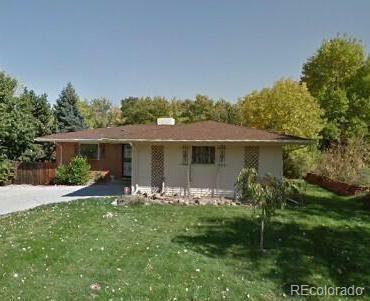 Amazing opportunity in Columbine Hills! 4 bedrooms (4th being non-conforming) 2 bath ranch style home with a mid century modern feel.Kitchen is open to the dining/living room. Cozy addition with fireplace. Basement could be another family/recreation room. Spacious patio in the backyard. Utility shed. Close to schools and parks. SOLD AS-IS! Great bones! Make it your own!